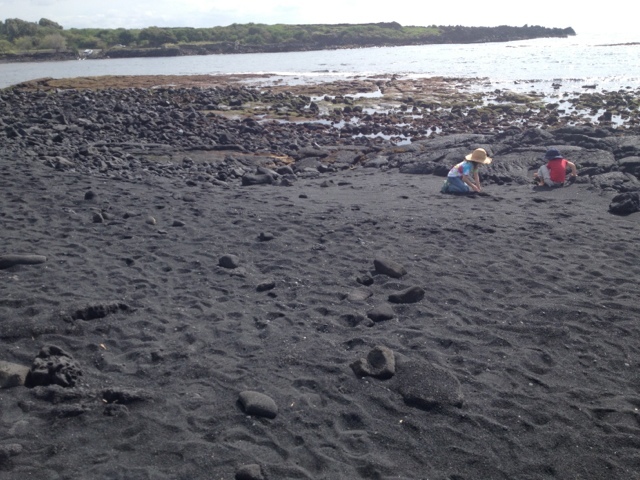 We stopped by this beach on our drive to the volcano because it is supposed to be a good place to see sea turtles. The turtles delivered! The kids were also happy for the chance to stretch their legs and get sandy.